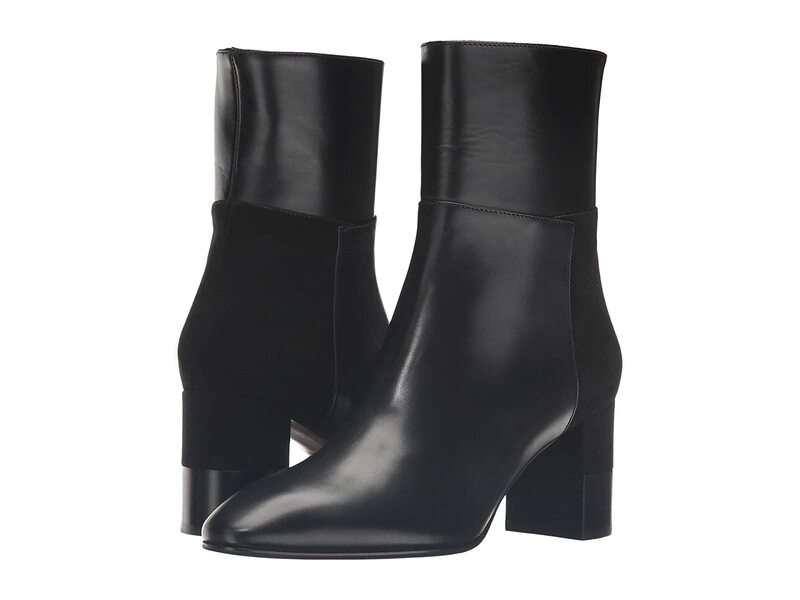 With a sturdy sole and thick heel, these booties are made for walking. Genuine calfskin and suede leather upper. Almond toe on a high ankle boot silhouette.